Despite Fallout 4’s release date still being two months away, developer Bethesda Softworks has just announced its post-launch plans for the much-anticipated game. As it did with Skyrim, Bethesda intends to release free updates for Fallout 4 which will address any bug issues and add new features to the game. The developer says it intends to work with the fans to discover what they would like added to the post-apocalyptic RPG. The studio is also planning to release a $30 season pass that will allow access to all the DLC Bethesda releases for Fallout 4. "Since we’re still hard at work on the game, we don’t know what the actual DLC will be yet, but it will start coming early next year. Based on what we did for Oblivion, Fallout 3, and Skyrim, we know that it will be worth at least $40, and if we do more, you'll get it all with the Season Pass,” a post on Bethesda.net reads. The post also mentions the mod support that will be available for Fallout 4; Bethesda will be releasing the free Creation Kit next year, which will allow players to create their own mods and share them with others. The kit is the same tool the team used in the studio during development of the game. These user-created mods will eventually be sharable on both the Xbox One and PS4, not just the PC. "The most important thing in our games is the freedom you have to create your own experience, and modding is a big part of that," Bethesda said. 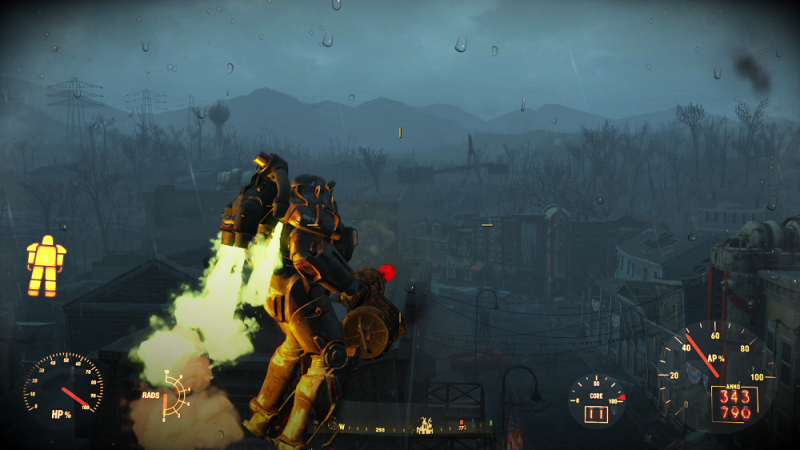 "Like all our previous games, we've made sure to keep Fallout 4 open and moddable at every step in development." Bethesda will likely be hoping it can emulate the success of this year’s other open world RPG, The Witcher 3. CD Projekt Red’s fantastic fantasy adventure sold 4 million copies within two weeks of its release, and has since received several free updates that add new features, modes and quests to the game. Fallout 4 will be released on November 10th for the PC, Xbox One and PS4.